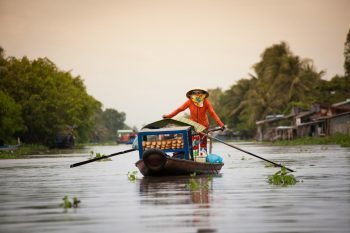 Dak Lak adventure tour always have an attraction for those who like backpacking tourism. The simple rustic beauty of this place not only comes from the natural mountains but also from the traditional culture of the ethnic group in the Central Highland. However, the special thing which make this place more significant is imposing waterfall. 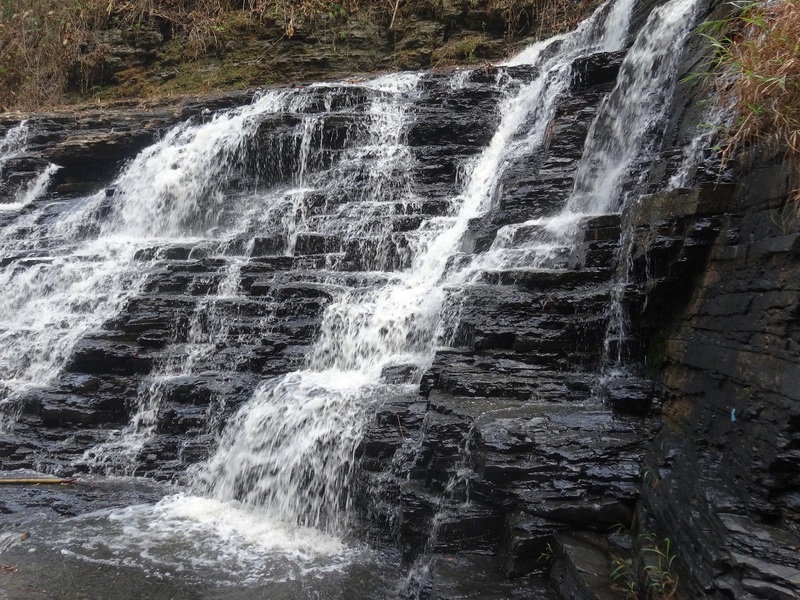 Take a look at some waterfalls you can’t ignore when coming to Dak Lak. These two waterfalls are probably no stranger to Daklak dirt bike tour riders, right? This place possesses the full beauty of nature with the perfect combination of mountains and lake. 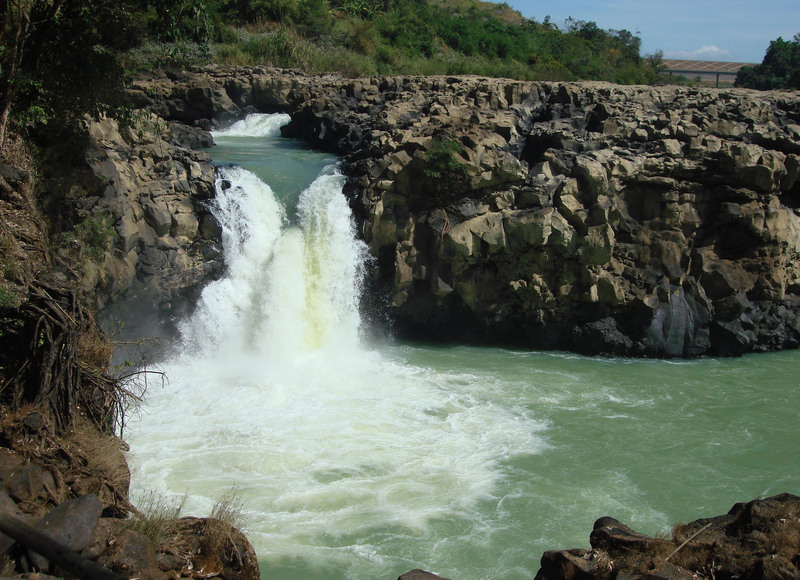 Though about 27 km from Buon Ma Thuot city, this is a great place to visit, you can spend time for BBQ lunch, and swimming hole further inside the park up the same river that flows over Dray Sap falls or joining elephant rides, then walk along around 100 stairs to descend down to the water, with bumpy but picturesque path. 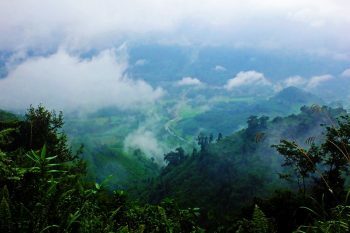 Beside the fall, the cows are munching away the grass, the sound of water flowing like a whisper, as following to Dak lak dirt bike tour, you can discover wonderful nature sightseeing. 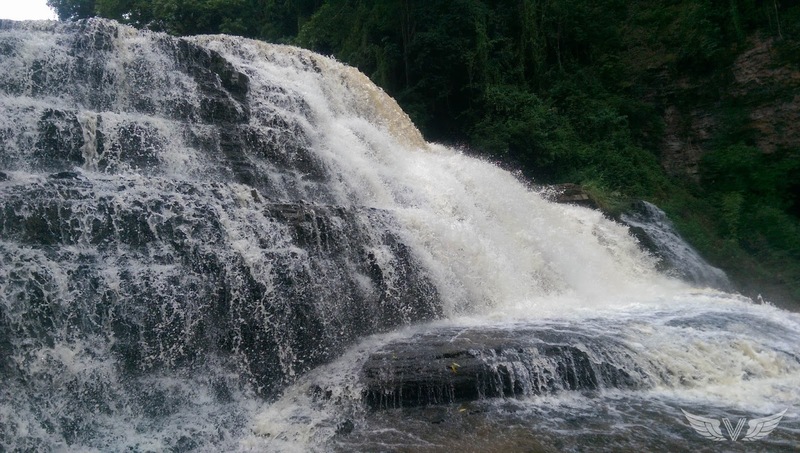 Krong Kmar Waterfall is one of Dak Lak’s most popular tourist destinations. 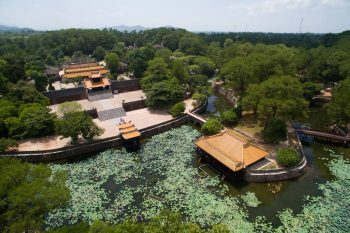 It is near the national park Chu Yang Sin and originates from the highest peak of Chu Yang Sin Moutain. From the top of the mountain, the stream Krong Kmar flows down the foot of the mountain, to create a wild, romantic framework, really different from the other waterfalls. Most visitors reach the trail head by motorbike (as Daklak backroads tour), and plan for one day picnic here. Behind the water pillars of the waterfall, there are many flat stones like the tables, for visitors take a rest, have a lunch, like small party in middle of the stream. For those, who love to discover the mountain landscape, a part of Daklak enduro tour, can walk along the waterfall, up to the stream. Then, you will be surprised of a huge blue lake, located in a pine forest, where is home of various birds. 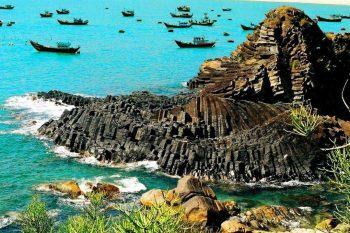 Located far from 7 km Northeast of Tam Giang Commune in Krong Nang District, Dak Lak province. This is probably one of the most beautiful waterfall in the Central of Highland. It has something very special and somewhat like an artificial waterfall. Take a look of above picture, you can easily realize that Thuy Tien has 3 layers, such sharp like stairs. Then the water flows from the highest floor to the lowest floor, forming the white foam. Sometime, Thuy Tien waterfall gentle as the hair of the girl, but sometime, when the water flows down, the foam is whitening as intense love of Ede’s girl. 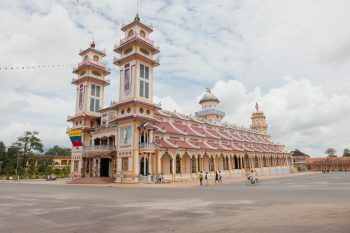 The mysterious nature offers Thuy Tien Water an amazing travelling space. You will really feel surprised, like the feeling of just lost in another space, away from the chaos, the worries of ordinary life. 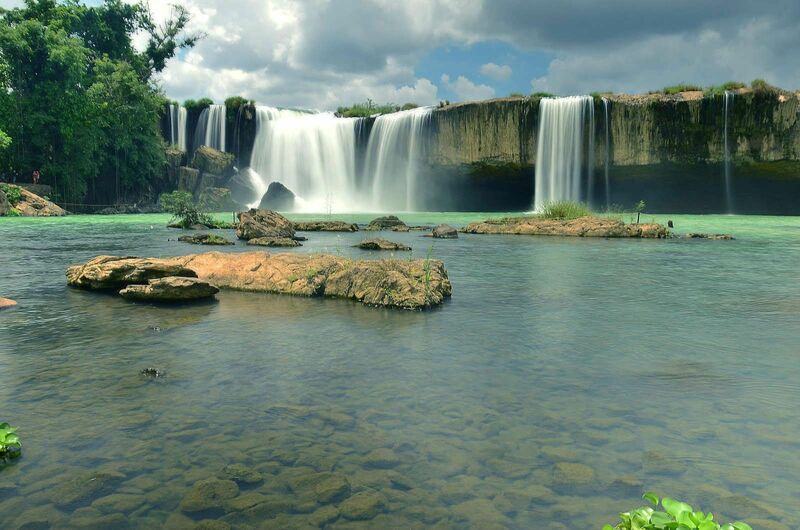 Together with other waterfalls such as Dray Sap-Dray Nur, Trinh Nu, or Krong Kmar, Thuy Tien Waterfall is one of the places of interest for tourists. Such Waterfalls are a fairy hidden in the green jungle of Tay Nguyen, inviting tourists near and far come to enjoy Daklak adventure tour by Saigon Riders, enjoy its poetic beauty.